Alright, so you’ve read my Beginner’s Guide to Travel Hacking and you’ve already made up your mind; travel hacking isn’t for you because of the credit cards. You have too much debt you are trying to pay off already. You already have other credit cards. No way are you going to tank your credit score just for some free travel!!! I get it because I was once in the same boat. When Andy first suggested travel hacking, I was so ill-informed about credit cards and credit scores that I told him that there was absolutely no way. But that’s one of the things that I love about my hubby, he is always pushing me to learn and grow and not accept “Conventional Wisdom” on topics, especially if they pertain to how we want to live our life. But, enough about me. What are the top credit card myths or concerns when telling people how to travel hack? This is the biggest reservation from people interested in travel hacking, but not knowing their facts about credit cards. The truth is, your score is comprised of several different aspects, but one of the big ones is the factor of how much credit a bank is willing to give you. With each card, comes a credit line. Assuming you are paying off each statement, then the bank sees you as a responsible spender and will be willing to increase your credit line. The more money (credit line) a bank is willing to give you, the higher your score will be. Completely opposite of popular belief, having more than one card has been one of the things that has raised my score the most because the banks can see my spending history, want me as their customer and therefore are willing to lend me more money. Ok, you are actually correct in this. But, wait! That isn’t the end of the story!!! Yes, you will get a “hard inquiry” each time you apply for a new credit card which may cause a 2-10 point TEMPORARY dip in your score. However, new credit also comprises about 10% of your total score. 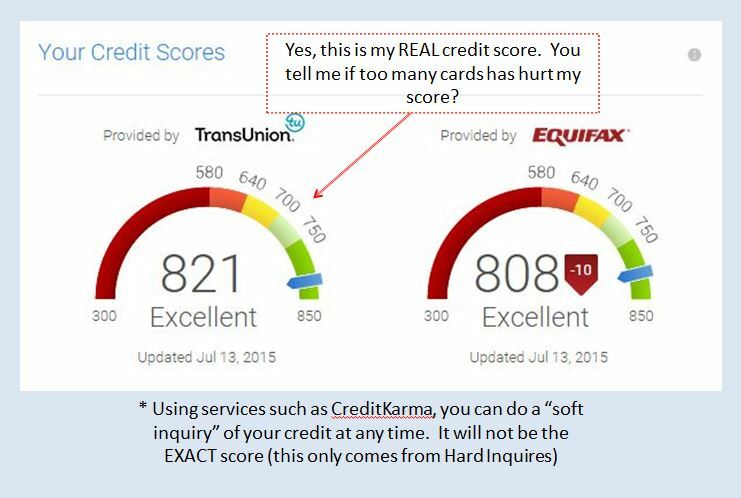 So, after using that new credit responsibly, your score will not only recover, but most likely improve. Note: If you are planning on getting a loan in the next 1-2 years is when you should be careful on opening new cards. The temporary dip can last up to about two years on your report. If you already have a good score (above 700) then this dip shouldn’t be too big of a concern. WRONG!! The only way to improve your score is to work on it. Getting a new card and paying it off every single month is only going to increase your score over time. Even if this is just finding the best card out there for travel hacking right now and focusing on that ONE card and paying it off, then you can see your score increase. I don’t have to pay off each month in full, after all, that’s one of the perks of a credit card. This is absolutely, positively one of the WORST myths out there. If you can not pay off your credit card in full each and every month, you should not be using a credit card. PERIOD. This is great for girls who want to go on a shopping spree but horrible for anyone without a sugar daddy. Just pretend that it is a debit card and that you can only spend what you actually have in your own personal bank account TODAY (not what should be there on payday). In fact, the closer you get to spending your credit limit (remember, this is a total of ALL your cards, not just one), you may be risking lowering your score. This is why you not only want a high limit but also don’t want to go nuts on a shopping spree. Have you not read the last two myths??? The only time you will ever see an interest rate on your bill is if you did not pay off last month’s statement IN FULL. Therefore, if you pay off EVERY.SINGLE.MONTH then it doesn’t matter how high the interest rate is because you’ll never be paying it! The only way to be in debt is if you did not pay your bill (In full!). Sure, I’m starting to sound like a broken record, but many of these myths are tied together. Guess what? Regardless of how much you spend, if you pay it off before the statement is due, you won’t be in debt! When was the last time your debit card paid for an overseas flight, gotten you a 5-star hotel room for free or given you a few hundred dollars cash back for spending? If you can have a debit card, you should be able to figure out how to responsibly use a credit card. Why not take advantage of the rewards points and get something out of the money that you are already spending on a daily basis. We have over 60 credit cards, yes 60+. There is no way we could spend on each and keep track of that! After meeting minimum spending for travel hacking purposes, we put the card away and never use it again. In fact, the longer you have a card (credit line) open, the longer the bank sees you as a trusted customer. Once again, this will actually INCREASE your score. The only time we cancel a card is if there is a high annual fee and the perks of the card don’t outweigh the cost of the fee. Something many people do not know is that one of the worst things you can do (besides not paying off each statement!) is to cancel a card. As mentioned previously, if you don’t use a card and there isn’t an annual fee, don’t cancel it! If you cancel it, that will actually harm your score. So, instead, lock it in a safe or somewhere trusted and just let it be and watch your score improve instead of crash. If you’ve ever wondered if you should become a travel hacker, TravelTheGlobe4Less has a nifty quiz (as well as other tips and advice surrounding credit cards!) that can help you decide if it is for you. Sure, travel hacking takes time, knowledge and organization but if done wisely, travel can become close to free. Afterall, who doesn’t love free?? Do you travel hack? Tell me in the comments what your biggest pet peeve that people tell you about credit cards is? Not a travel hacker? 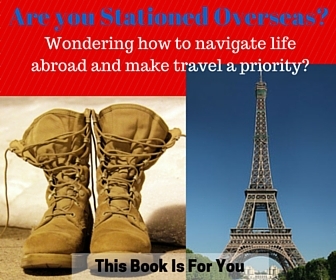 What do you want to know more about it to help you travel for free? When signing up for a new credit card to get the sign on bonus, should my husband and I sign up completely separate to each get the sign on bonus? Or do you just sign up for one card and add your spouse as an authorized user? Thanks! Thanks, LeAnna! That makes sense to meet the minimum spend, then move on. Great advice! I do regularly cancel my cards because there aren’t tons of options for cards in the Uk and it is worthwhile to churn them to be able to qualify for the sign up bonus again. The only thing to consider is there needs to be a six month period between closing and re-opening!